The National Planning Policy Framework strongly emphasises place-making, design quality and the role of communities in shaping their environments. More recently, the Farrell Review positions ‘PLACE’ at the centre of recommendations for the future of the built environment. Set within this policy context, this seminar focused on ways to deliver high quality places through Local Plans. Speakers examined the importance of local context, historic character, natural resources and the aspirations of local communities that contribute positively to making places better for people. The event was facilitated by Peter Studdert (Planning and Design Consultant and former Director of Planning at Cambridge City Council), who spoke alongside representatives from Brighton and Hove Borough Council, Ashford Borough Council, PCKO Architects and Design South East. 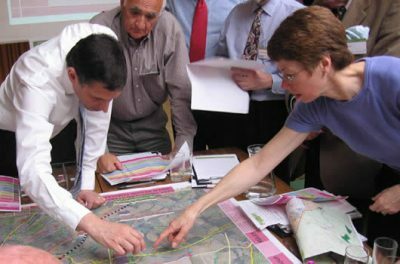 Aimed at Heads of Planning, Senior Planning Officers, Development Managers, and Local Councillors, this seminar supported attendees to deal with shaping Local Plans effectively by having the right policies and guidance in place to set the design expectations of their area. The event was free to Kent Design members within their membership package allocation. Non member places were available at £95 + VAT.